Since their last buff, elite barbarians have been, for lack of a better word, OP in Clash Royale. They are now used in almost every deck, so you need to know how to counter and beat elite barbarians since you will be facing them in practically every battle. This article will teach you how to defend against the EBs! Out of all the counters in Clash Royale, skeleton army is probably the best one. Completely by itself (with the tower help) this 3 elixir card can take out the “meta” barbarians. However, most elite barb users will bring a zap and simply zap down the skarmy as soon as you play it on defense. If this happens, you are almost completely screwed if you don’t have another counter. BE CAREFUL and always have a backup plan when using this. While skeleton army is the best counter to the elite barbarians, normal barbarians are the most reliable. 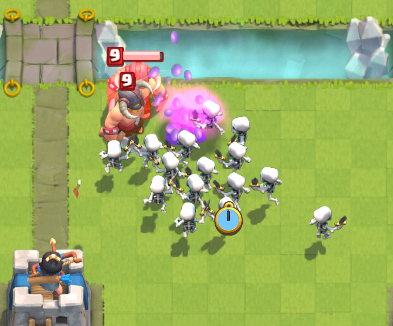 For only 5 elixir, you are able to take out the elite barbs and still have some troops left over for a counter push. Whether you play the barbs in the middle or right on top, the barbarians will get the job done. Surprisingly the tombstone is actually one of the best counters to the elite barbs. However, you will be sacrificing one or two hits on your arena tower if you counter EBs with the tombstone. 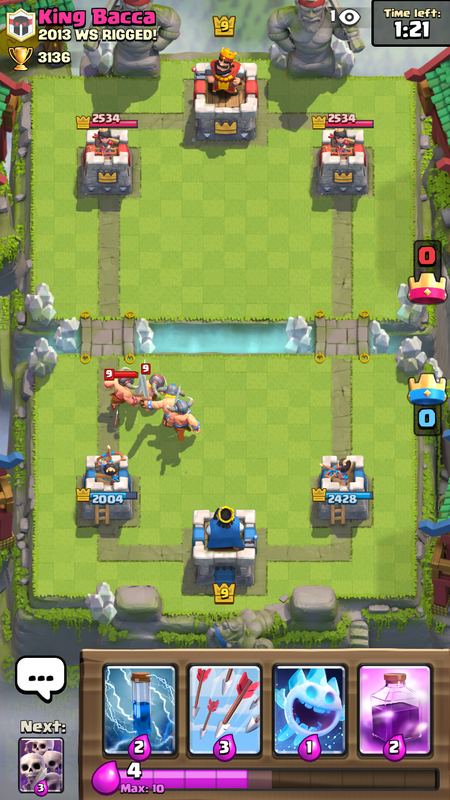 Always play the tombstone in the middle so that both arena towers can shoot the elite barbarians while you get a steady stream of skeletons coming out. Lastly, you can counter the elite barbarians with your own set of elite barbarians. This is pretty basic, but hey, whatever is able to stop these tanks! Plus, since you have your tower aiding you, you’ll get a decent counter push along with a good defense. However, you don’t get an elixir advantage like the last 3 counters. Thats just a quick 4 elite barbarians counter with only one card. You can also counter with a lot of dual cards, such as ice wizard-minions or fireball-ice golem. Anyways, I hope you guys enjoyed and can counter those pesky EBs a lot better now! I hate elite barbarians more than royal giant, do you STLCardinalFan2? YES! I have no problem with RG, but EBs I hate with a passion. Luckily, I don’t see them much anymore. By the way which arena are you in? Arena 11 unless I’m in Arena 10 to make videos against easier opponents. I’m in arena 9 and I usually use knight+ice spirit or knight+skeletons to counter. it’s just like fair elixir trade. I just got into arena 8, and I made a new hog-elite barb deck, and I think I can push to arena 9 now before it even comes out because of the op deck. 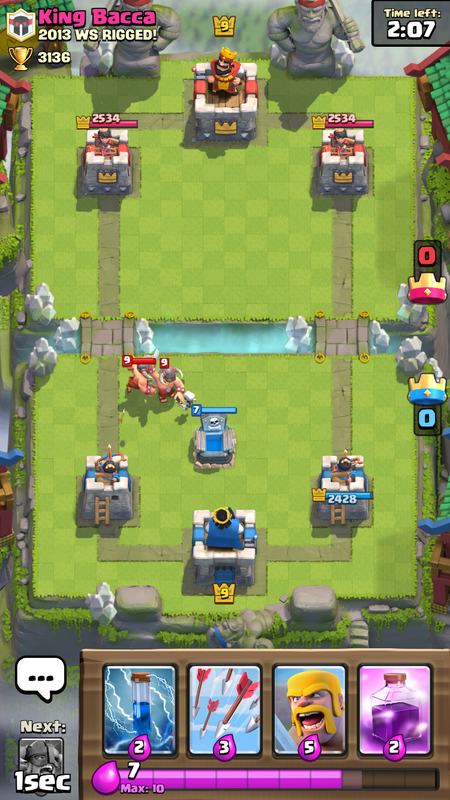 To counter elite barbs using my all spells + inferno deck, you need to lightning after they cross the bridge. 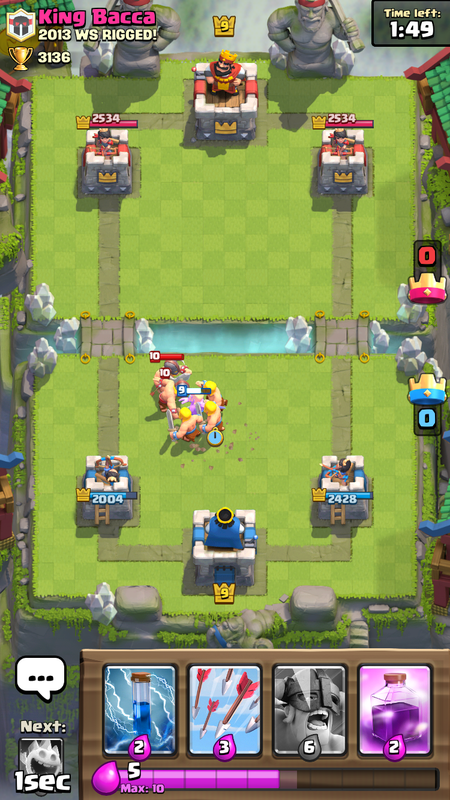 If you don’t have the inferno tower up, you will get hit once or twice, though. Pingback: How to Counter and Beat Elite Barbarians | Clash of Clans Guide, Strategies, Tricks and More!